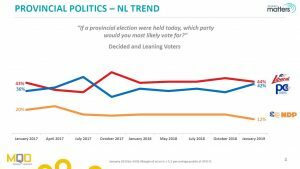 Another opinion poll has put the governing Liberals and opposition Tories in a statistical tie in voter support in Newfoundland and Labrador. 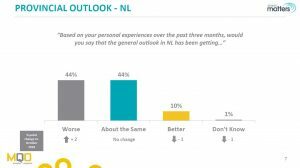 The latest quarterly poll from MQO Research has the Liberals at 44 per cent, the Tories at 42 per cent, and the NDP at 12 per cent. Those numbers only include decided and leaning voters. Two per cent said they would vote for “other”, while zero per cent chose the upstart Newfoundland and Labrador Alliance. The sample size is 359 and the margin of error is +/-5.2 percentage points 19 times out of 20. The poll was conducted by telephone Jan. 16-28. Among all respondents, 40 per cent were undecided. 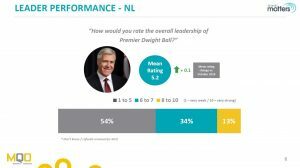 MQO’s findings are similar to an automated telephone poll released last week by Mainstreet Research, which also showed the Tories and Liberals in a statistical tie.